The Big Green Egg (BGE) is known as the Ultimate Cooking Experience.0 – 600 degrees in as little as 5 minutes, natural lump charcoal for the most dynamic fl avor profi le, a virtually air tight cooking chamber for unbeatable moisture retention, and the versatility to smoke, bake or grill on the same appliance. 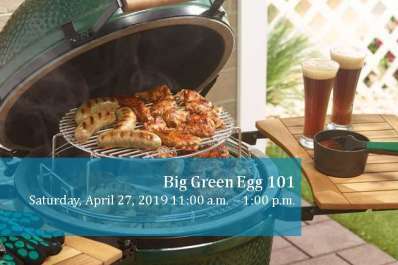 Our BGE 101 class, reserved for those that do not have a BGE, will take you through all the basics to prep you for success no matter what you are cooking. 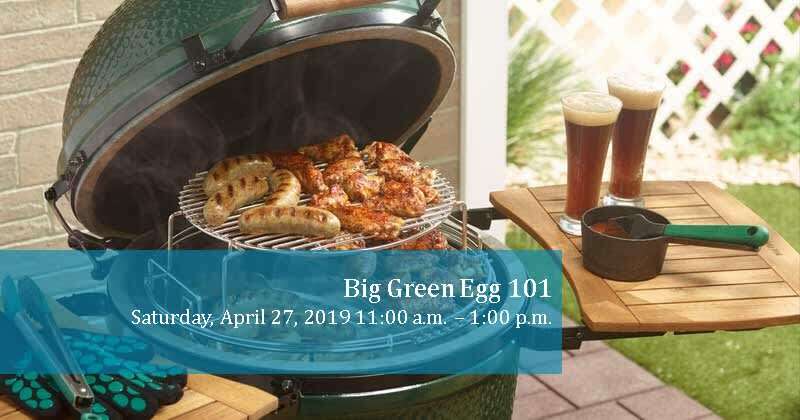 10% off all Big Green Eggs and accessories the day of the event only. Join us in our new covered outdoor classroom. Hurry, class size is typically limited to 12 students. Hands-on participation voluntary.